It was created in 1990 under the administration of the late US President George H.W. Bush to stimulate the country's economy through job creation and capital investment by foreign investors. The US issues 10,000 such visas every year, in the past largely utilised by Chinese investors. "This kind of visa is gaining popularity especially from those people who want to educate their children in the US where public schools are of high quality and free of charge, since it allows people to move with their spouse and all unmarried children under the age of 21," said Mr Ryan. "About 100 Kenyan have shown interest, and we have lined up to 50 meetings in the next three weeks. We will also do two meetings at a couple of private members clubs in the city." 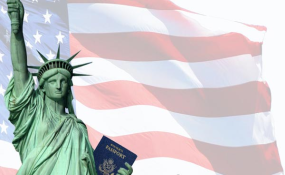 The EB-5 visa offers an easier route for those with millions to spare, with fewer requirements and the promise of permanent residence or citizenship in five years. Successful applicants, Mr Ryan said, are given back the Sh51 million once they achieve permanent resident status--normally after five years-- with citizenship following about a year later. Atlantic American, as a trustee of the funds, invests the money in real estate in areas where there is above average unemployment in the US, giving the investor a return along with their initial Sh51 million upon gaining permanent residence.